The News Ticker plays a vital role in spreading valuable information to the users. It continually scrolls the text on the page. Any critical or significant information that needs to be shared immediately with the store visitors can be displayed using news ticker module. Thus, bringing in the value to the business by keeping their customers updated about all the latest updates and news. It can range from providing the most recent information on store updates, sharing coupon/event codes, or showing the current offers available. The need for a news ticker arises as in the default system no such option allows displaying a news ticker on the storefront. In other words, you won’t be able to show your store news in one place. 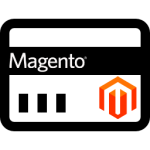 Here, you can make use of this News Ticker for Magento 2 extension that will enable the admin of the web store to post essential news titles, recent updates or information about offers & discounts on their storefront easily. 2 How to add a News Ticker at the storefront? Quickly add News Ticker Widget. Add more than one widget of News Ticker. Each widget will work according to their group property. The user can pause and resume the scrolling animation. Color customization for news text and background. Set the news ticker width and scrolling speed. Create, update or remove any number of news text. Add, edit or delete various news ticker groups. Two types of animation effects are available – linear and swing. No need to install the flash plugin to use this module. Set News ticker direction to either left or right. Enable or disable any news or a group from the back-end. It supports multiple languages and translations. How to add a News Ticker at the storefront? Edit the page or create a new one where you want to display the news ticker. Now, enter the news ticker block code within the content section and save the page. Directly add News Ticker Widget within the content section of a page where you want to show the news ticker. 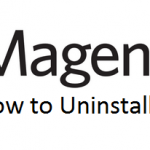 After the installation of this extension, you will have two options – Mange News and Manage Group. 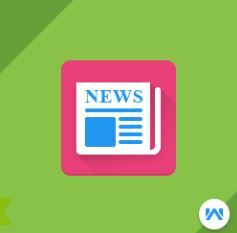 Under manage news, you can create the content for the news ticker as per your need. Here, you can add the content for the news, select the color, set the sort order, and set it as enabled or disabled. Create various groups for your news content. Add groups like promotions, offers, store updates and then add the created news content for them accordingly as required. 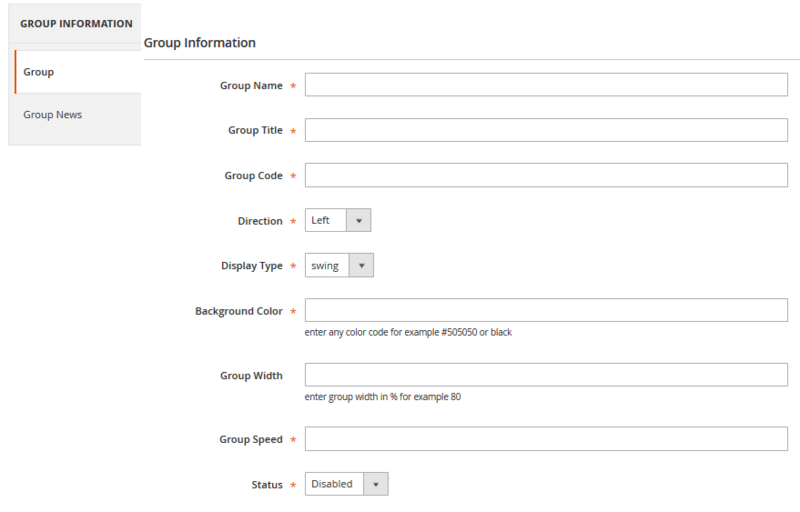 To add a group enter the information regarding the group like – Group name, title, code, the direction of the animation, animation display type as linear or swing, the background color for the newsgroup, the width of the newsgroup, animation speed, and the status of the group as enabled or disabled. After this assign the news content to this group as required by checking the news content you want to add to this group. Lastly, click save to save this configuration. Enter the news ticker block code in the content section of the page and save the page. 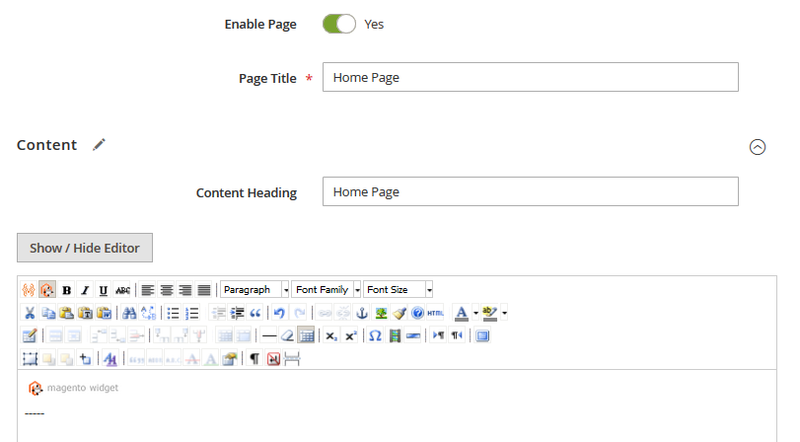 Add the widget in the WYSIWYG editor in the content section by selecting the widget type as News Ticker and selecting the Newsgroup for the Widget and saving the page. 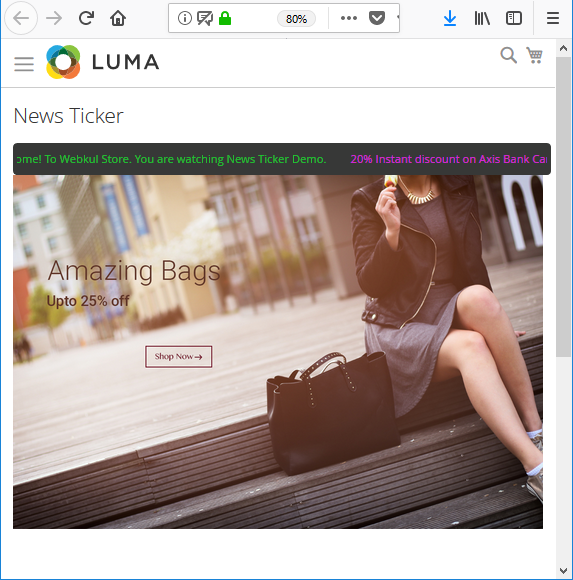 Customers will be able to see the news ticker at the top of the page with all the enabled newsgroups with their news content. 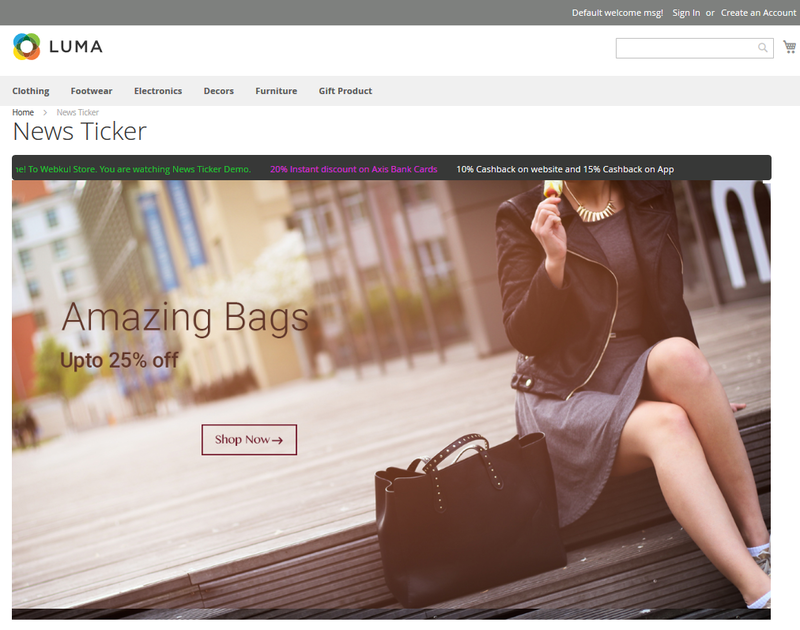 That’s all for this News Ticker extension for Magento 2. You can check the User Guide and Live Demo for a better understanding of the module.